Which has a Napoleon complex? 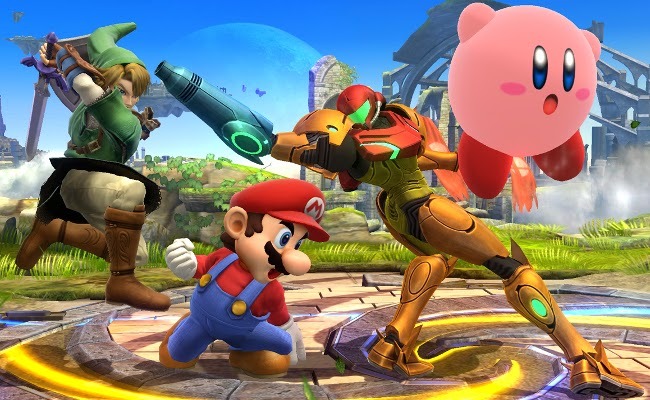 This week on PopMatters, it's time to speculate about strangers on the Internet based on their Smash Bros. Style. The existence of a functional (but far from perfect) online mode in Super Smash Bros. for Wii U has exposed me to a huge variety of opponents. In the space of a few weeks, I've played more people and experienced more styles than I have over the over the rest of my 15 year history with Smash. True, an online match is downright sterile compared to many of the drunk, expletive-laden real-life grudge matches I've had, but the silence has actually been surprisingly informative. Because the 1 on 1 "For Glory” fights have completely standardized rules, you’re able to see how a wide variety of people act under the same set of circumstances. Without any text or voice chat (other than a short, customizable screen name), you get to know someone by their deeds rather than words. You keep fighting the same person until someone leaves the matchup which facilitates a gradual non-verbal relationship. Some people bow before a match. Some get more aggressive with every loss while others remain clinical no matter what the outcome. You find people that use a particular character in a completely novel way with the catch being they are only competent with that single character. In a strange way, it feels a bit like Journey: you have this companion you randomly encounter. You’re there for the same basic reason, but you don’t have an easy way to explicitly communicate. You're forced to learn about each other through gestures and actions. Smash is clearly more bombastic and adversarial, but the basic concept is the same: without a good way to talk, you have to make interpretations. Now the only thing to do is get to work on that Journey amiibo. Labels: features, popmatters, super smash bros.
Ugh. I'm the "Try Hard" and then switch it up so when I lose I can blame the under powered champ of my choosing. Nothing is more satisfying than dodging their salty leaps and watching them helplessly tumble off the edge.